As an expert in your field, you have processed important and accurate data. Yet it takes much more to present this data successfully to management or customers. Focus here must be on your message because recipients will only be able to understand you if you really say what must be said. Management reports require clear notation, as is the case with maps or sheets of music. This workshop will be conducted in Croatian and English. This workshop is precondition for attaining the IBCS® Certified Consultant certificate. The main objective is presenting universal design standards for reports and presentations that will help participants report and present more effectively – with numerous before-and-after examples taken from actual practice. 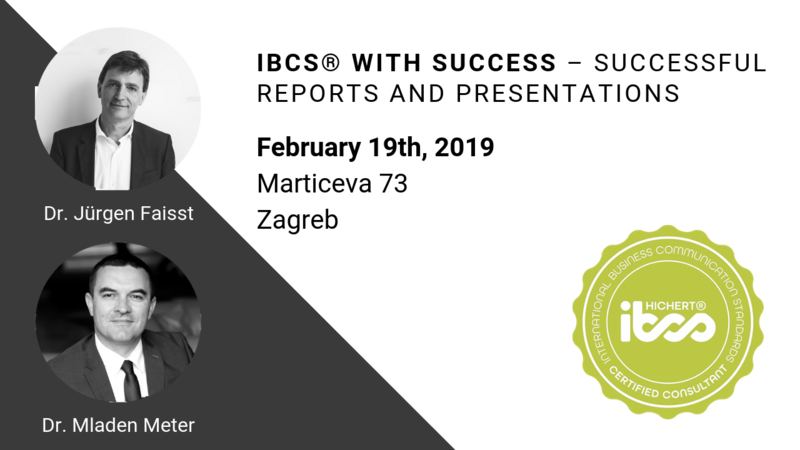 Find out why large corporations including SAP and PHILIPS have successfully standardized their reporting with the SUCCESS formula of the International Business Communication Standards (IBCS®).